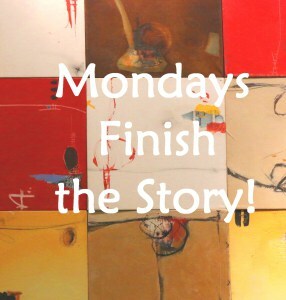 It’s time for Monday’s Finish the Story again. This is a flash fiction challenge which asks that we write a story in 150 words from the picture and first line prompt, kindly provided by the host, Barbara W. Beacham. ‘Pizza anyone?’ the dark-headed waiter asked. Chris glowered at the man, noting the name-tag on his jacket with the name ‘Fabio’ written on it. He was still piqued that Jane had booked the meal without consulting him. 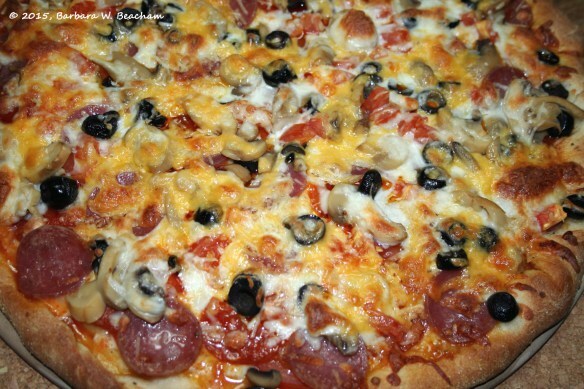 Their first anniversary, for Pete’s sake – and she knew he never ate pizza! ‘Menu and wine list…?’ Fabio continued, evidently puzzled by his hostile response. I wrote this story with my husband in mind. He’s a vegetarian – and a very faddy one. He won’t eat rice or pasta dishes and would never touch pizza until we had a holiday in Sorento. Not liking Italian food at all, he tended to eat Margherita pizza at least once every day. He certainly didn’t love it, and has rarely eaten it since. If you’d like to read other entries, click here. Although this made me hungry…I enjoyed it! Very well written and entertaining too. I’m glad that Chris finally ate the pizza Margherita. Maybe that Chianti made it taste a lot better. 🙂 Great story Millie! I enjoyed reading it (as I do all of your stories). I’m not sure what Chianti is but i figured it was some sort of alcohol. lol! LOL! Yes, the perils and delights of alcohol. I quit drinking in 1993. So I’m not too knowledgeable about different kinds of alcohol. I don’t drink nowadays, either, so I’m a total bore when we go out, or when we’re on holiday. Nick (husband) won’t drink alone, so he has to be teetotal too! I stopped drinking because I just went off it several years ago. Odd, but that’s how it was. That is very kind of your husband to teetotal while he is with you! At least you can be boring together. Haha! I’m just kidding. Well, I’m glad Mr Grumpy finally found something he would eat. Top marks to the waiter! I’ll pass the message on. Perhaps he’ll change his name to Mario … or Ronaldo? Salad is healthy we do not really need all those heavy food anyway. You sound like me. I just put everything together and one two three ready to eat no long recipes to follow and lots of extra things going with it! Loved the story Millie and the ending is the best! I like the humor. I had a good chuckle reading the story and all the comments. Vegetarian food is surely healthy but sometimes tends to be boring. I am sorry but the picture make me hungry! Wow! sweet ending. I love the flag eating part – hahaha. A peace-flag! Thank you, Joycelin! I’m glad it gave you a laugh.